Every week I strive to bring you some of the most exciting real estate opportunities from around the world. While it’s easy to get excited about a property adventure, you’re taking a big chance if you don’t ask lots of questions before you spend your hard-earned money. So, this week I’m going to take a step back and identify the five most important lessons to learn, long before you pull out your checkbook or initiate that electronic transfer. But first, let’s look at four different property types that require different initial assessments. Definition – Property purchased for the purpose of renting to the public market. Who are your target renters? What location will draw your target renters? What is the local rental supply/demand ratio? Are other rentals sitting vacant? How will you find renters? Online? Through an agency? Word of mouth? What kind of rental agreements are allowed in the area? Long-term? Short-term? How much rent can you expect to receive? What will be your net income? Who will manage the rental process? A rental manager? You personally? Who will take care of the property itself? A property manager? You personally? How will rent be collected? How will rent be deposited? Will an agent make a deposit? Electronically? How will the utilities and taxes be paid? Who will repair damages and replace items? What occupancy rates can you expect? If you use a manager, will they provide monthly income and expense statements? What fees can you expect to pay a rental or property manager? If considering a manager, what are their web presence and track record? If the currency is different from yours, how will the rent conversion be calculated? The old adage—location, location, location—is a key factor in rental property success. Assess the overall atmosphere of your rental market. Understand the type of rental properties on the market that maintain the highest occupancy levels and what a fair rent should be for similar properties. If two-bedroom city apartments are the rage, do you want to buy a single-family house in the country? Be sure the local laws and regulations will allow the type of rental agreements you have in mind. I know some very disappointed investors who bought an apartment expecting several short-term renters per month, only to learn that short-term rentals are forbidden by law. If you can’t or simply don’t want to manage your property, you need to find a reliable, honest, and responsive agent you can trust. This may be easier said than done, especially if you’re not living locally. Ask other local property owners for recommendations and interview several companies if possible. Definition – Property that’ll be used solely for agricultural purposes, not for residential structures or human habitation. What product will be grown or produced on this land? Who is the target harvest buyer? Is there a current need for this product, or is it an anticipated market? Is the target market local or international? What price will you receive for the harvested product? Are the intended buyers already in place? Does this developer have a proven track record? What are the company’s and owner’s reputations in the market? How will the commodity be protected from potential harm? How long will it take before you start to see profits? How long can you expect the land to produce crops? How will you receive your profits? What are the current trends for this commodity? Because you will not have direct, day-to-day involvement with this type of investment, the most important consideration for agricultural opportunities is the company and people running the enterprise. You must research those who control the process from start to finish, to ensure their performance meets the projections. Knowing the market expectations, including current and future needs, will give you the best indication of how your investment will perform. Also, as these projects often take time to develop, and may produce for many years, this can be a great option for a longer-term plan. Definition – Using cash to fund a project that has not yet broken ground or is in the process of development, with an anticipated return once the project is completed. Who is the developer and what is their reputation? What is their financial health? Question liens and debts from this and other projects. How secure is the project funding from other investors? Where is the other money coming from? How much more money is needed to complete the project? Does the developer have any skin in the game? Does the developer have other ongoing projects that require more capital? Does this developer have other completed projects with a proven track record? Have all of the necessary permits, titles, and governmental requirements been met? Is the zoning proper for this type of project? Is there any infrastructure already in place? If not, has the infrastructure plan been approved by the appropriate entity? Are any of the planned amenities completed? If not, when are they expected? Is there a firm schedule for completion? If the developer is relying on selling units once completed, what is his marketing and sales plan? Who is the competition and why is this project better? The best advice is to buy what you see. However, some developments offer enticing potential returns that also deserve your attention, as long as you go in with your eyes open. First and foremost, know your developer, their past projects, and financial viability. Make sure all your bases are covered before you dive in. The best projects use trust or escrow accounts to protect your money during construction and offer money-back guarantees if the project is not completed. Definition – A home intended for your personal use, full- or part-time, and not for rental purposes. Where do you want to live? Consider access to amenities, noise level, zoning, restrictions, etc. What style of home suits you—modern apartment, country cottage? What size do you need? How many bedrooms and baths? Do you need to acquire any permits or zoning changes? How long do you intend to stay? Is the market on the rise or stagnant? What are the monthly/yearly expenses including HOA fees, taxes, etc.? Will you renovate and, if so, what costs are expected? How long will it take? What is your resale/endgame plan? What capital gain taxes will you owe upon sale? Buying your own personal home can be tricky. Try to balance sound financial decisions with emotional choices to ensure you enjoy living in the home you choose. Your personal desires may play a larger role, but always keep your resale scenario in mind. Ask if the market values in the area will increase over time. Have a clear exit strategy in place. Question if the style will help or hinder resale options. Decide what standard of quality you are seeking; for example North American, European, or local standards? An unusual home is fun to create for yourself, but you may find it lingering on the market if others don’t appreciate your tastes. Know your market – If possible, visit the location you are considering and see for yourself whether the opportunity is viable. Understand local rules, regulations, customs, and costs. Appreciate what the market will bear, who will rent or buy your property in the future, and what kind of returns you can expect. Know the difference between gross and net yields and understand which are presented in the sales promotions. Calculate your financial obligations – Understand the true costs of your investment including closing costs, legal fees, taxes, notary expenses, the cost to furnish a property, title searches, and other expenses. Factor in the ongoing costs including HOAs, property management, utilities, upkeep, taxes on rental income, capital gains tax, administration fees for agricultural land, and more. Surround yourself with trustworthy people – Thoroughly vet any developers, real estate agents, contractors, and agricultural partners. There is no replacement for doing your own due diligence to protect your interests. Retain qualified local attorneys to represent you throughout the proceedings. A good lawyer is worth every penny if they help you avoid a disastrous outcome. 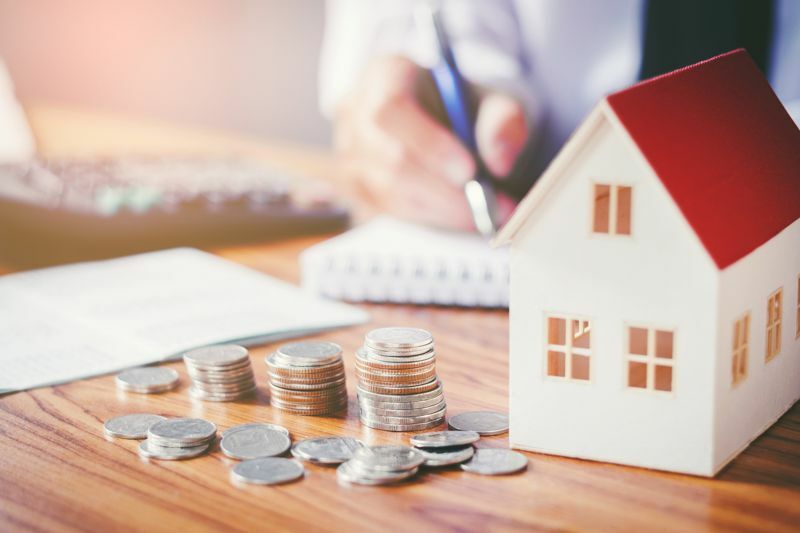 Protect your finances – If you are investing in a new development, is your deposit refundable if the project is not completed? Are trust or escrow arrangements possible to hold money until the final contract is signed and possession delivered? With crops, are there strategies in place to safeguard the final product? Do multiple resale markets exist in case one path closes? Protect yourself – Most North Americans depend on regulations, laws, and uniform licensing to protect them in business dealings. Of course you can be deceived anywhere, but overseas you are absolutely responsible for your own well-being. You must be smart, savvy, and knowledgeable in any financial dealing abroad. My best advice to you, dear overseas investor, is to learn the system, the market, the players, and what to expect before you buy.